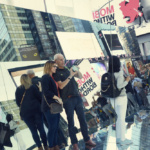 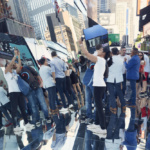 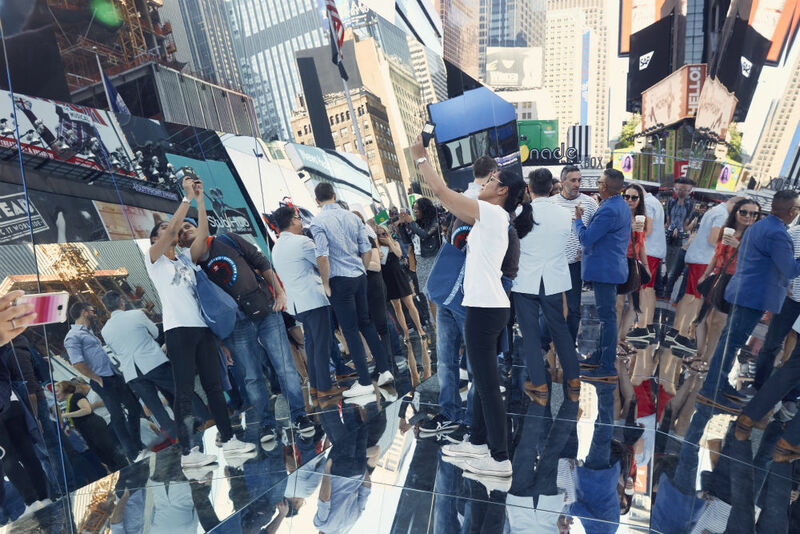 Can you see yourself at Times Square this month? 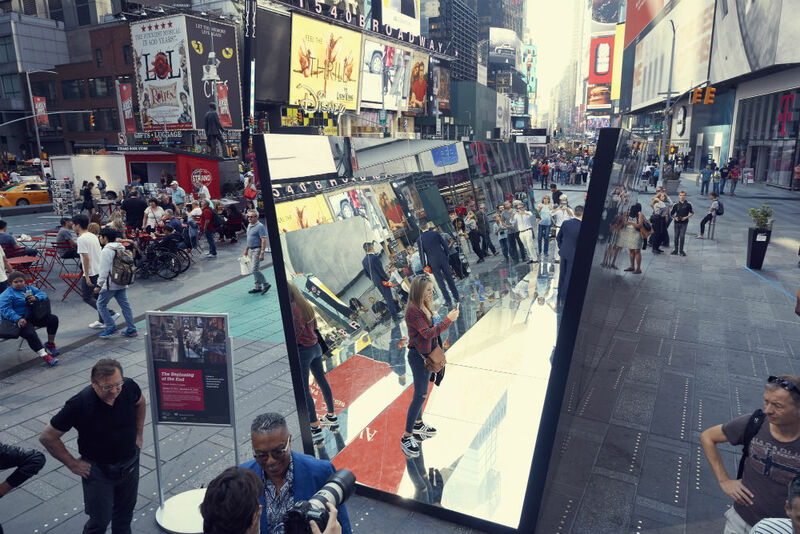 Running through November 21, visitors to Times Square in Manhattan will find The Beginning of the End. The reflective intervention comes from the Times Square Arts, Cuban Artists Fund, and Cuban artist Rachel Valdés Camejo and asks audiences to think about the relationship between an object and its surrounding space—Broadway Plaza between 46th and 47th Streets. 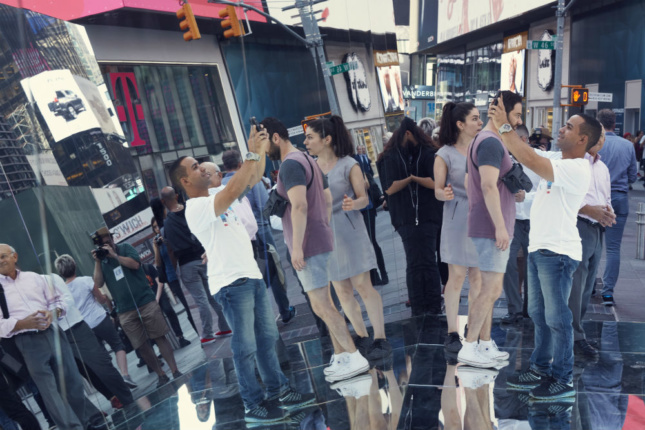 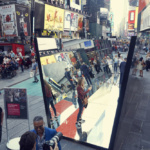 Camejo’s first work in the U.S., The Beginning of the End sees the bright lights and razzmatazz of Times Square amplified through a corridor of mirrored surfaces. 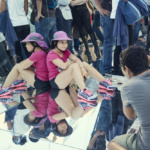 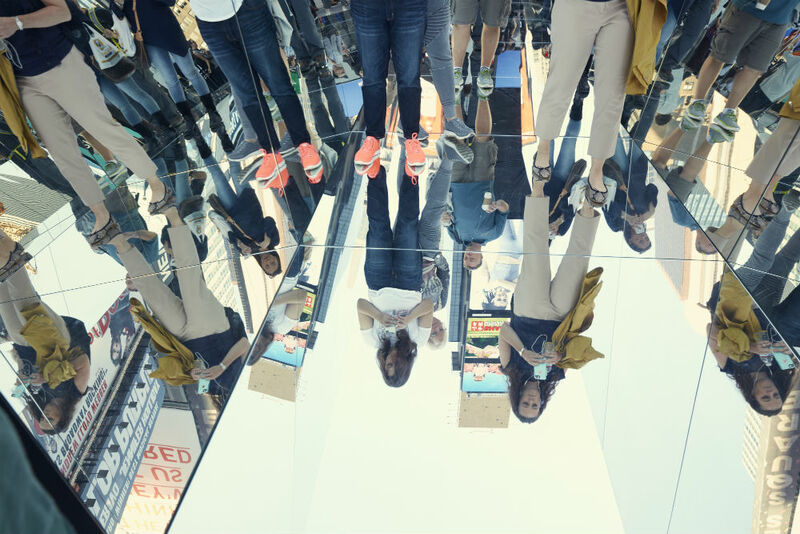 Visitors can walk through and glance down to see the sky at their feet along with the vibrant streetscape around them. 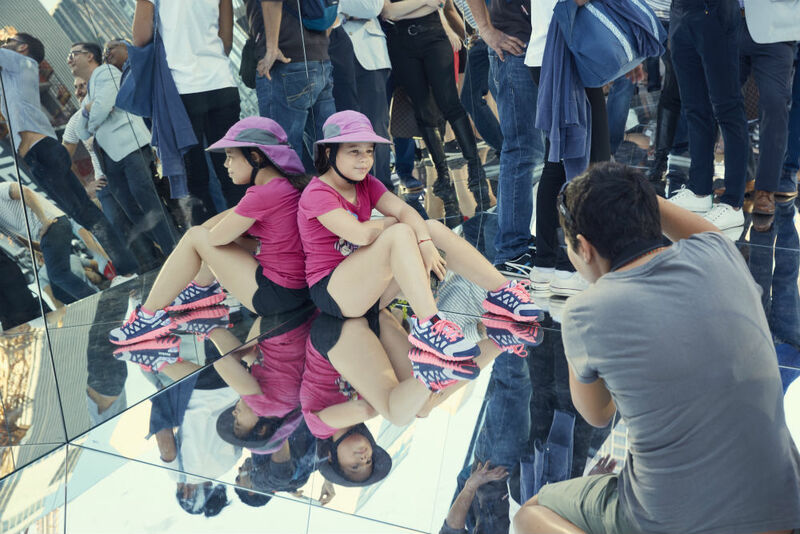 Immersed within the new perspective of their surroundings, the audience is prompted to contemplate the way they view the vicinity. 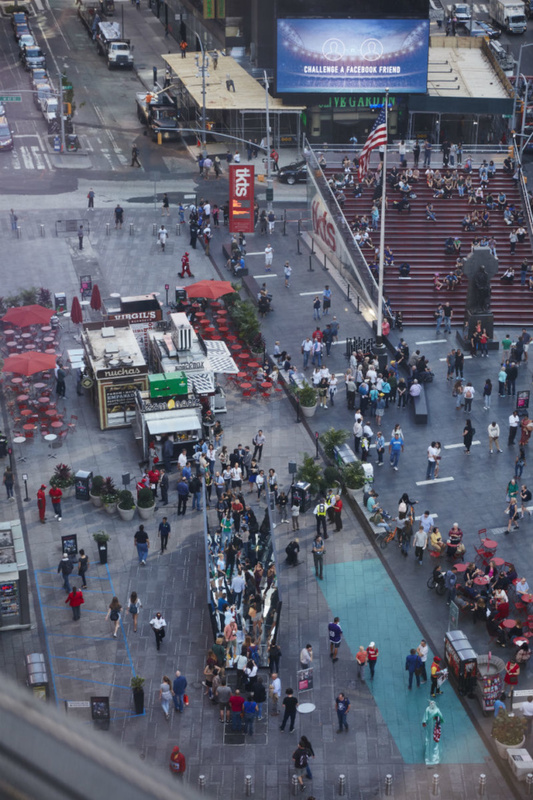 The Beginning of the End also works as a successful installation at night too. 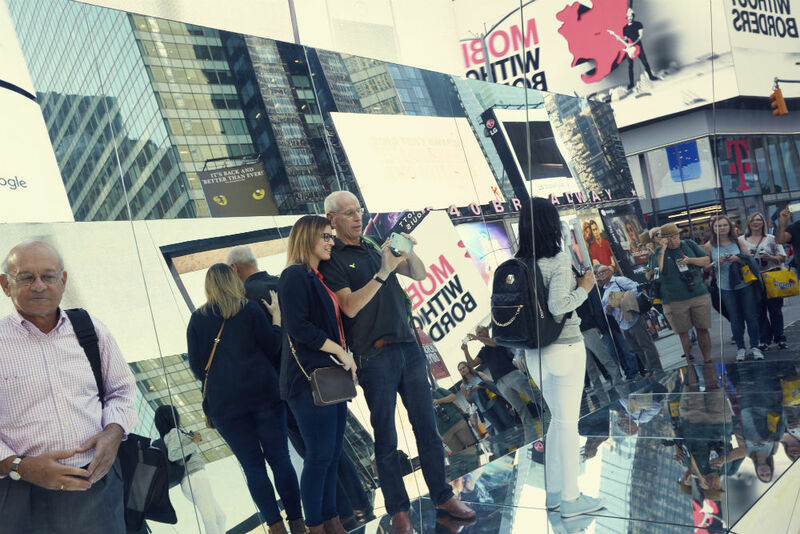 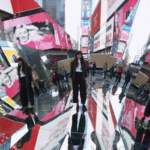 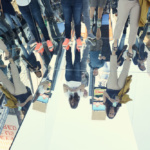 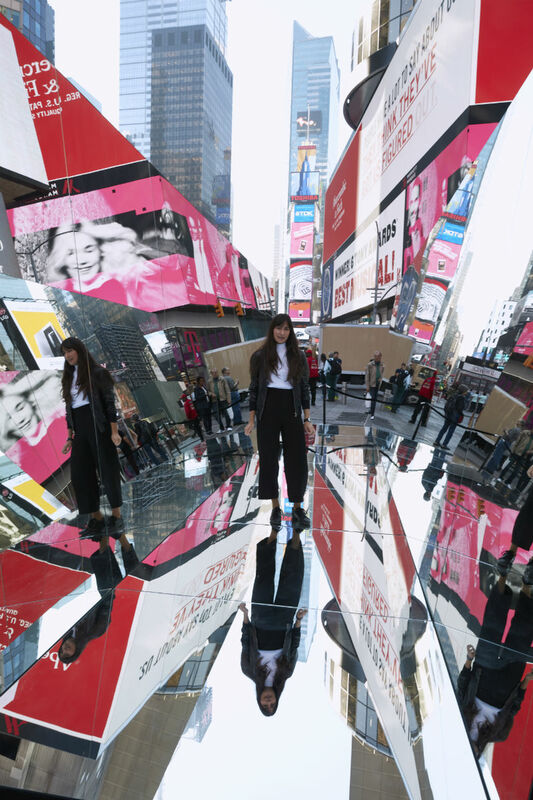 Despite not being able to walk on the sky, Camejo’s installation encapsulates and reverberates the visual chaos of Times Square has to offer.